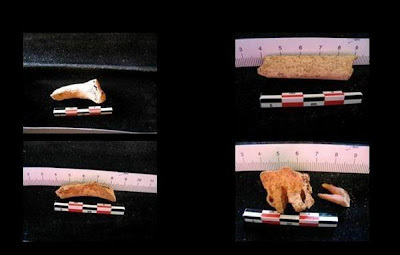 Phos to alethinon: Bones of John the Baptist in Bulgaria? Bones of John the Baptist in Bulgaria? World media has in recent days told about the freshly published scientific results concerning a discovery of relics made in 2010. The facts do not prove but they do also not exclude the possibility that the bones and molar really belong to John the Baptist. The discovery was made in July 2010 in Bulgaria on an island near Sozopol. A marble sarcophagus was found in the ruins of a medieval monastery. In it were a fragment of a human skull, molar, knuckle bone and some other surviving small bone fragments and a small box. The name of the island, Sveti Ivan means Saint John. With today's advanced techniques it is possible to date the minuscule amounts of carbon extracted from ancient bones for radioactive dating. 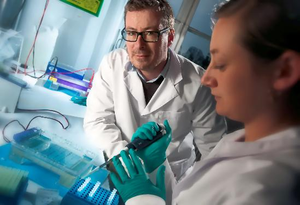 The team studying the samples taken from the knuckle bone was led by Professor of Archaeological Sciences, Tom Higham in Oxford's Radiocarbon Accelerator Unit. C-14 datings have, of course, high plus minus staistical values, but the measurements suggested a date on the first century AD. Copenhagen University gene researchers Hannes Schroeder ja Eske Willerslev reported, that the DNA samples from the bones from the sarcophagus all belong to a single person, who was male and of Near Eastern origins. Can we trust on the information given by Copenhagen? Personally, I have not nearly enough knowledge of this branch of science to evaluate such data. But the Danish experts look to me pretty convincing, and they really have no reason to falsify results. On the contrary, being involved with holy relics can invite some chuckles from learned colleagues. But I doubt that not many who understand this stuff smiles at what Hannes and Eske are saying. Eske Willerslev is a Danish evolutionary biologist notable for his pioneering work on Ancient DNA. 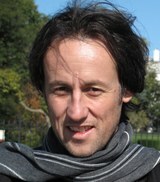 He is currently a full professor at Copenhagen University and leader of the Ancient DNA and Evolution Group. He has received the Genius Award (Geniusprisen) of Danish Science journalists for his combination of groundbreaking research with an aggressive media strategy. Before becoming a scientist he lived for several years as a trapper in Siberia with his twin brother, anthropologist Rane Willerslev. 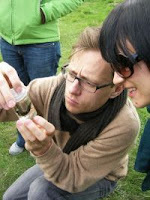 His group is interested in understanding what caused the decreases in diversity of Megafauna after the last ice age and also tries to develop techniques to recover DNA mostly from ice preserved specimens, such as DNA from sediments in ice cores and fossil bones found in permafrost. In 2010, a team led by Prof. Willerslev sequenced the genome of a 4.000 year old man from the Saqqaq culture of Greenland from his hair. George Kazan is a doctoral student in the University of Oxford specializing on the study of relics under the guidance of Professor Marlia Mango. Kazan told Reuters, that the small box in the sarcophagus is made of volcanic tuff originating from Cappadocia. It has incised text, the name John in antique Greek letters, his feast day [and prayer "God help Thomas"]. The emperors and nobility of the Byzantine Empire eagerly collected relics that were imported from the Holy Land by boats but also by land. One land route went from Jerusalem through Syria to Cappadocy in Eastern Anatolia and from there to Constantinople. Some of the relics got their own church or chapel, some altars, some were buried with the owner and some given as valued gifts to monasteries or people. Regardless of the identity of these bones discovered in Bulgaria John the Baptist is a historical figure. New Testament (and Josephus) describe a sharp preacher proclaiming the arrival of Messiah. He was not afraid to preach to the king about his marital status, a message that eventually cost him his life.